It’s not really anonymous – we know the people booking, they are staff, guests, students or parents, however sometime in the future we may extend this to include those unknown. Resources that your school is willing to make available for the community, in an orderly fashion. You might have a tennis court, a basketball court, an oval or an outdoor theatre that you are keen to make greater use of. You may already have some process for students and parents to book these facilities which is great. The SOBS Anonymous booking is simply an online facility to allow these people to book these resources when they are available. How do students and parents use it? You will publish a link on your school website – they simply click the link and follow the instructions. The form starts by asking for the email address. This must be an existing email address registered on a staff record, a guest record, a student record or a parent record (this is different to the parent email added from the Parent/Teacher interview application). The user then selects the resource. Only resources accessible to guests can be booked here, no other resources are listed. The resource description and optionally an image will be displayed, along with available periods / times listed. The user will only be able to select a single period or time slot for their booking – there are no extended bookings or repeat bookings available. The list of periods / times only extends to the week ahead – the user will not be able to book beyond the week ahead. 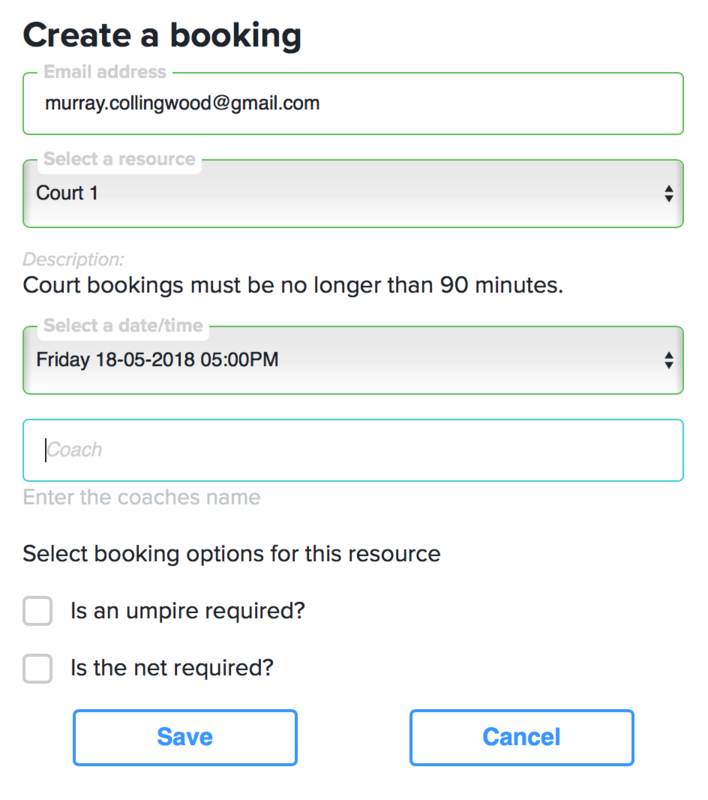 The booking description will display the same prompt and help information as you would see in the main booking screen, it’s not different in that respect, however we do require a description to be entered on this form. Lastly if there are any options defined for this resource they will be displayed also and operate the same was as in the main booking screen. 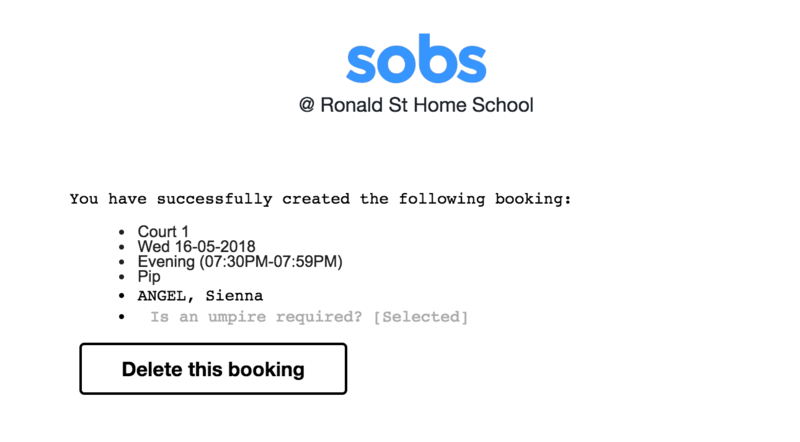 Once the booking is created a confirmation message appears on the screen, and an email is sent to the user’s email address. The email contains the details of the booking and also a button that allows the user to delete the booking if it is no longer required. If the resource requires approval (and approval can be limited to guest booking / anonymous booking) then the booking will be created with a ‘Pending’ status and an email will be sent to the approving resource managers. No, it is part of the Room Booking application – there is no additional charge. You will need to enable guest access to your Room Booking application. You can do this in the School Settings page on the Authentication tab. You will need to allow guests to access/book some of your resources. To do this go to the Resource management area, locate the resource and enable ‘Restrictions’. Then configure the restrictions, change the ‘Deny’ guest access to ‘Allow’ guest access, this should be sufficient. You may also want to configure approvals for these resources. If you want to extend this facility to students and parents, if not already imported you should import your student parent data, perhaps using one of the other applications, School Notices, Student Attendance, Permissions Slips, Detention System (you don’t have to use that application, a trial will be sufficient to run the student and parent data import). 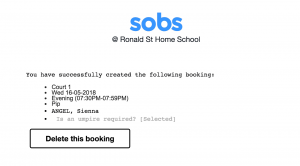 Publish the Anonymous booking link on your school website: https://sobs.com.au/rb3/anon.php?schoolid=NNN (where NNN is your SOBS schoolid number). Will this facility get spammed or abused? We have configured an anti-spam option into the form that should protect us from the spiders that troll the net for forms like this. Currently the facility is limited to our pre-loaded email addresses, so despite the name we are not allowing unknown users to make bookings. Will some student or parent take the opportunity to make repeat booking on these resources? That is a possibility, however with a description of booking limits (and we suggest some limit such as no more than 2 bookings per week per guest be included in the resource description) together with an approval process in place the bookings will quickly be deleted and the originator will have wasted a good amount of time doing nothing really. 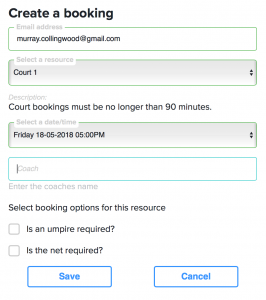 After each booking is made the booking form is reset and the user would need to type in their email again, select a resource, a time, and type in a description in order to submit a further booking. I believe our user will tire of this very quickly. You may have noticed that the style used on the form and the email are incorporating our new design. We hope you like it. The new design means the form works equally well on a mobile phone as on your desktop computer. This can be very handy for students and parents alike who may be interested in booking a resource at the last minute.